The Antarctica - Mars Connection And The Cataclysmic War Between Good And Evil - Will Energies And Technologies Long Hidden Soon Be Revealed? Back on August 7th of 1996, then President Bill Clinton was joined by his science and technology adviser Dr. Jack Gibbons on the South Lawn of the White House in Washington DC to make an official statement regarding the 1984 discovery of a meteorite that had been found long hidden within the ice in Allan Hills, Antarctica. It is well worth contemplating how we reached this moment of discovery. More than 4 billion years ago this piece of rock was formed as a part of the original crust of Mars. After billions of years it broke from the surface and began a 16 million year journey through space that would end here on Earth. 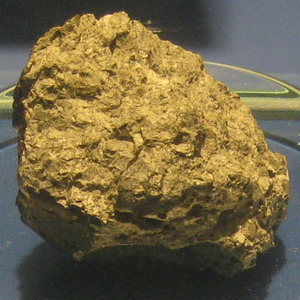 It arrived in a meteor shower 13,000 years ago. And in 1984 an American scientist on an annual U.S. government mission to search for meteors on Antarctica picked it up and took it to be studied. Appropriately, it was the first rock to be picked up that year -- rock number 84001. Today, rock 84001 speaks to us across all those billions of years and millions of miles. It speaks of the possibility of life. If this discovery is confirmed, it will surely be one of the most stunning insights into our universe that science has ever uncovered. Its implications are as far-reaching and awe-inspiring as can be imagined. You can read President Clinton's full 1996 statement at the bottom of this story below videos . According to this 2015 story from CNN via archive.is, the closest thing upon our planet Earth to a visit to Mars would be a visit to Antarctica, the land of ice and great mystery. As even NASA reported back in 2009, about a year and a half prior to the Phoenix Mars Lander project beginning, six scientists traveled to Antarctica to conduct studies that would assist them in that future Mars project. Why is there such a strong connection between Mars and Antarctica? 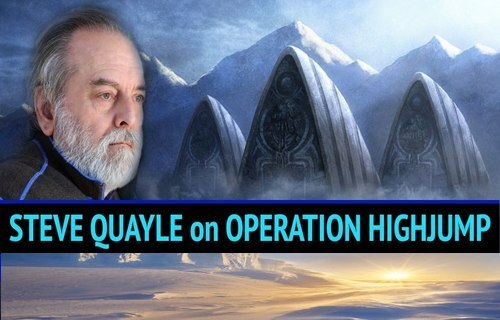 As we hear from Steve Quayle in the first video below in which he joins the Hagmann Report, the ties between Antarctica and Mars run deep and the revelations that will come forth in the future surrounding both Mars and Antarctica are absolutely critical and will likely be beyond anything we can now imagine. Warning us that we're now witnessing a massive convergence of events and information, will we soon learn of information or technologies of great importance, long hidden, suddenly revealed? The fact that even Bill Clinton's announcement speaks of the possibility of Martian lifeforms lends credence to Quayle's warning that martian bacteria has long been growing under the ice of Antarctica, a subterranean world that most of us across the planet Earth still know very little to nothing about. Yet as we've previously reported on ANP and has been reported across much of the alternative media, numerous 'globalists' and 'elite' have recently made trips to Antarctica and as we also previously reported on ANP, the US military has had great interest in Antarctica for decades with an ongoing mission called 'Operation Deep Freeze'. 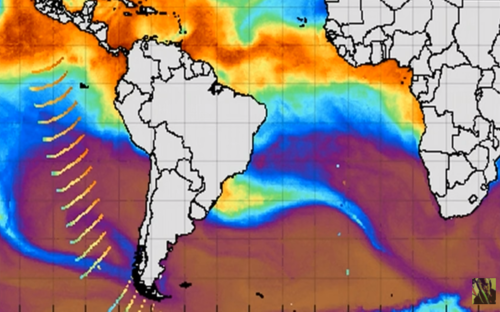 With numerous 'wave anomalies' that appear to originate in Antarctica discussed in various videos and stories such as the 2nd video below, we're reminded by Quayle of Operation Paperclip, the once secret post-World War 2 US intelligence program that brought Nazi scientists back to America as even detailed in this paper over at the CIA library. We're also well aware of documented Nazi Germany Antarctic missions of 1938 and 1939 and rumors of UFO's in the region and eventually Operation Highjump in 1947. And while we're quite certain that the msm will continue to label stories about Antarctica or Nazi UFO's or alternative sources of energy 'fake news', US history over the past many decades has PROVEN to Americans that we cannot believe what we're being told by those in positions of authorities with at least 33 once-called 'conspiracy theories' already been proven true! How many more such 'conspiracy theories' out there will we also soon learn to be true? As we reported on ANP back on June 20th of 2017, a company with long-standing ties to the UFO coverup recently got a huge contract in Antarctica, just the latest company involving defense contractors and mercenaries to get contracts in Antarctica. The fact that President Trump is getting ready to declassify various long-classified documents on the death of John F. Kennedy is a step towards transparency - what more long-held secrets will President Trump let see the light of day? While the outlet Popular Mechanics recently put out a story titled "Nope! There Was Never A Secret Nazi Base In Antarctica", we have to remember the very same Popular Mechanics also put out a story titled "Chemtrails Aren't Real, In Case You Were Wondering" despite even the former head of the CIA admitting how real they are. 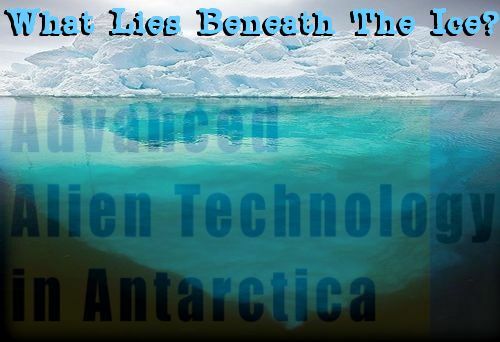 What other technologies are available to America and the world right now that the gatekeeping msm will still call 'conspiracy theories' and why is there such a huge interest now in Antarctica and the planet Mars? With the same Popular Mechanics attempting to dumb down Americans on geoengineering and weather modification, are we to believe they wouldn't be doing the same thing on Antarctica as they suggest in their story that the Nazi-UFO-Antarctica connection is 'bogus'? While certainly we're not in the position right now to prove it, the 'alternative energies' that Steve Quayle speaks to us of in the video below might very well be able to change the entire world and the course of history as Steve points out in his must-read book "Empire Beneath The Ice", the truth about history has long been hidden. Are the soon to be released 'JFK files' just the first of a long stream of hidden info, secrets and technologies to be revealed to the rightful owners, the free people of America and the world? We're reminded such technologies could also be used against us. Yet anybody paying attention to the secrecy surrounding UFO's over the past several decades knows that there is something much more at play, clearly classified black ops at work, so should we expect such secrets to be revealed? To relate a story, a friend of mine from years ago spent several years in the US Navy and shared a story of his ship being followed for hours by a 'UFO' that those who were on the ships deck clearly saw. His first UFO experience, when he asked why the mysterious craft following them wasn't being reported as a UFO, a senior officer responded, "That's not 'unidentified'. We know exactly what that is." Just imagine the possibilities of infinite yet harnessed energies being given to the people of our planet Earth for good and the huge amounts of dollars that could be saved with huge numbers going into energy costs in 2017. Certainly the powering of so-called UFO's involves what some have called 'free energy', what more is being hidden from the American people? Might we soon learn the truths of hidden history? 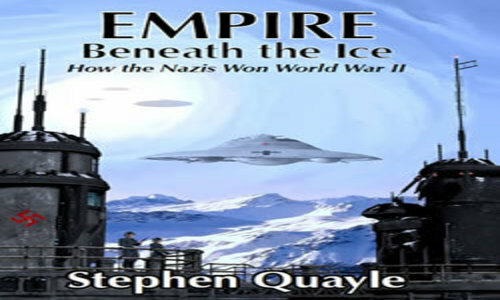 From Steve's book "Empire Beneath The Ice"
How, using advanced technology, Nazi saucers defeated the US military — long after WWII was supposedly over. Why the US space program was mostly a sham, and why the “UFOs” that started appearing around the world in the late 1940s were (and still are) most likely flown by Nazi pilots. Why today’s world is secretly controlled by a malevolent shadow government and entire populations are being surreptitiously brainwashed. How ancient stargates have been duplicated to open portals into spiritual and demonic universes. Why those controlling our planet have laid the groundwork for a takeover by a dictator who could best be described as the Antichrist of the Bible. Empire Beneath the Ice carefully documents these and many more astounding facts, divulging the truth about what is happening today. It gives you the insights to help prevent this diabolical takeover or, if it occurs, reveals the details and essential actions you and your loved ones must take. Empire Beneath the Ice exposes the dangers our world faces, and will arm you with the tools you need to counter these unspeakable, secret evils. With long-classified documents related to the death of JFK set to finally be revealed, we applaud President Trump for this effort at transparency and encourage him to share with us information or technologies long hidden that can be of use and helpful to the American people without putting military members or America in danger. Huge amounts of information are discussed in this video including various alternative forms of technologies that the msm would call 'fake news' including 'doomsday weather machines' as well as artifical ways to generate ice including an 'ice-cloaking mechanism', 'Crispr gene editing technology' and much, much more. Steve warns us of ongoing 'supernatural warfare' in the spiritual realm that we're unable to see in the world we live in but will manifest in this physical realm as a cataclysmic war between good and evil plays out. He originally joins in at the 2 minute 50 second mark with a long discussion focusing on Antarctica and returns after the break shortly after the 1 hour 1 minute, 30 second mark as the discussion shifts to Mars. They also discuss within this video the final video below which comes to us from his channel titled "Yellowstone Unseen Splendor". If you haven't seen it yet or want to visit Yellowstone one day but are finding hard to find time to do so, it's a must see video as it shows the majestic beauty of an absolutely gorgeous place on our planet Earth and as Steve tells us, it ties right in to the Mars-Antarctica discussion as various bacteria found there that cannot be found any place else in the world. The statement below is the full statement made by Bill Clinton on August 7th of 1996 about 'rock 84001'. This is the product of years of exploration and months of intensive study by some of the world's most distinguished scientists. Like all discoveries, this one will and should continue to be reviewed, examined and scrutinized. It must be confirmed by other scientists. But clearly, the fact that something of this magnitude is being explored is another vindication of America's space program and our continuing support for it, even in these tough financial times. I am determined that the American space program will put it's full intellectual power and technological prowess behind the search for further evidence of life on Mars. First, I have asked Administrator Goldin to ensure that this finding is subject to a methodical process of further peer review and validation. Second, I have asked the Vice President to convene at the White House before the end of the year a bipartisan space summit on the future of America's space program. A significant purpose of this summit will be to discuss how America should pursue answers to the scientific questions raised by this finding. Third, we are committed to the aggressive plan we have put in place for robotic exploration of Mars. America's next unmanned mission to Mars is scheduled to lift off from the Kennedy Space Center in November. It will be followed by a second mission in December. I should tell you that the first mission is scheduled to land on Mars on July the 4th, 1997 -- Independence Day. Today, rock 84001 speaks to us across all those billions of years and millions of miles. It speaks of the possibility of life. If this discovery is confirmed, it will surely be one of the most stunning insights into our universe that science has ever uncovered. Its implications are as far-reaching and awe-inspiring as can be imagined. Even as it promises answers to some of our oldest questions, it poses still others even more fundamental. We will continue to listen closely to what it has to say as we continue the search for answers and for knowledge that is as old as humanity itself but essential to our people's future.